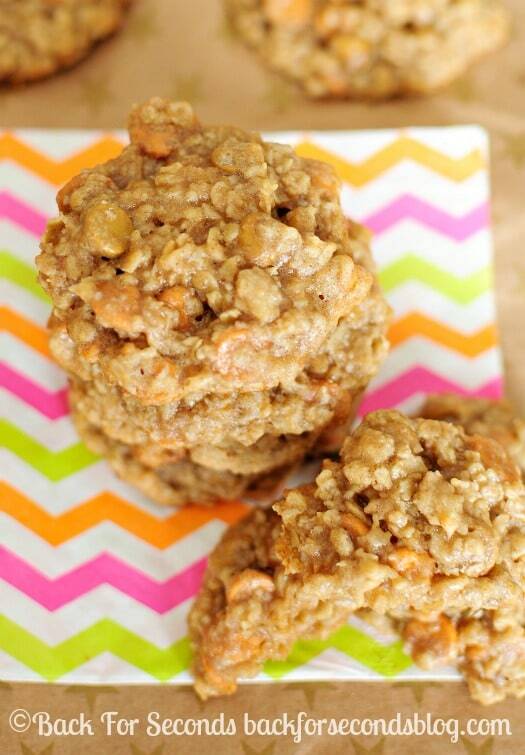 Learn How to Make The Perfect Chewy Oatmeal Scotchie! 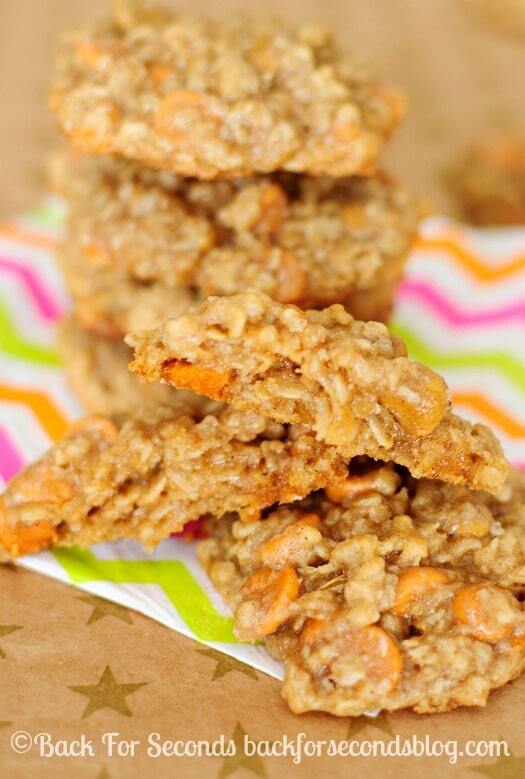 This is a super easy, tried and true recipe that turns out a perfect, chewy cookie every time! 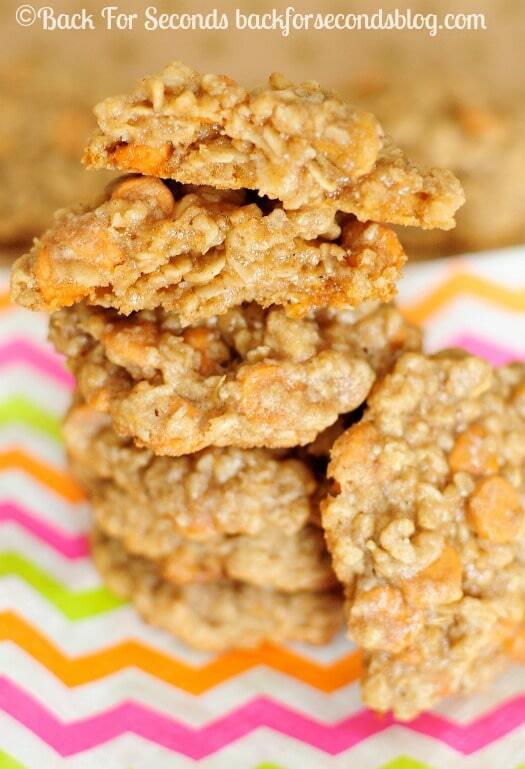 This is one of my husbands favorite cookies, so every now and then I like to surprise him with a batch! This recipe is the best! The cookies always turn out nice and chewy, and they are full of warm, sweet flavor. This is the kind of cookie recipe you can whip up in no time. The dough comes together so easily and there is no need for chilling – yay!! When we want cookies, we want them NOW. Who has the patience to wait hours for the dough to chill, right? 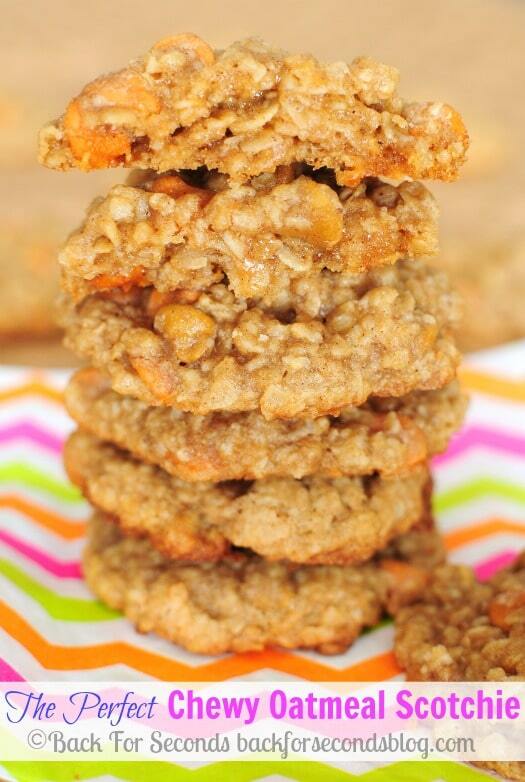 Some oatmeal cookies can be quite bland, but these are just bursting with flavor! There is a generous amount of nutmeg in these cookies, but don’t let that worry you. The flavor is not overpowering at all, and it perfectly compliments the cinnamon and butterscotch. Make sure you let the cookies rest on the baking sheet for a few minutes before moving them to a cooling rack. They will be quite soft until they start to cool, so don’t try to move them too soon. Just store them in an airtight container and these cookies stay soft, moist, and chewy for days. Enjoy! I’ve been wanting to bake something for my sister and could not make my mind. These are the winners thou. Thanks!